My talk will focus on two MIT initiatives on production and innovation: Made in America: Regaining the Productive Edge (1989) and Making in America: From Innovation to Market (2013). Over the thirty years that separate the two projects, globalization, the rise of new rival economies, and transformative technological changes have created huge new opportunities and painful challenges of adjustment for society. On each of the two projects researchers fanned out into companies across the United States and to Japan, China, Germany, and France to try to understand from the bottom up how innovation moves into production and into the market; how and where new good jobs are created; how and where new industries come to life. Even after thirty years of profound technological, political, and social change, some of the problems we identified in the first study still remain basically unresolved—how, for example, to educate people for a lifetime of changes in the workplace; how to move innovation from the lab into society more rapidly. At MIT where we have a track record of carrying out research that brings together faculty and students from departments across the Institute to study complex problems that spill over disciplinary boundaries, we have the resources to make headway on these big questions. 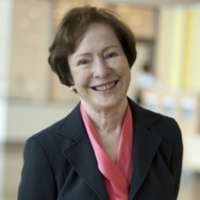 Suzanne Berger served as Head of the MIT Department of Political Science, founding chair of the SSRC Committee on West Europe, and Vice President of the American Political Science Association. She has been elected to the American Academy of Arts and Sciences. The French government has awarded her the Palmes Academiques, Chevalier de l'Ordre National du Merite and the Légion d'Honneur.